April 10th, 2011 3:26 PM by Lehel S.
MORTGAGE lenders that are not banks acquired a bad reputation during the housing crisis, when now-defunct players likeCountrywide Financial and Ameriquest Mortgage came to light as purveyors of risky, high-priced loans, often to subprime borrowers with less-than-stellar credit. So-called nonbank lenders are trying to stage a comeback now, through two relatively new lobbying groups based in Washington that are seeking to burnish the image of those nonbank lenders that steered clear of risky lending. While a few nonbank lenders still offer higher-risk loans with exorbitant rates, others, including stalwarts like LendingTree and Quicken Loans, sell plain-vanilla fixed-rate or adjustable-rate loans that are marginally cheaper than those from big banks. Many borrowers are suspicious of the loans offered by smaller, nonbank lenders. “Most consumers say, ‘Who are these people?’ but the fact is that these are mainstream loans with good pricing,” said Glen Corso, the managing director of the Community Mortgage Banking Project, a trade group of 43 nonbank lenders. Some nonbank lenders say they are seeing a steady increase in business from middle-income borrowers who may be unable to get a loan elsewhere. 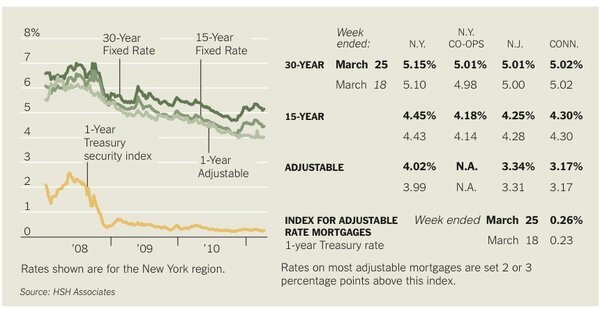 “So far this year, we’re up 15 to 20 percent in the total value of loans we make,” compared with last year, said David Wind, the president of Guaranteed Home Mortgage, a nonbank lender in White Plains, N.Y.
Mr. Wind said the average loan amount in the New York City area was $240,000, compared with $220,000 a year ago, an indication that higher-end customers were seeking out nonbank lenders amid tighter underwriting standards at the larger banks. Because nonbank lenders tend to be smaller and have lower operating costs, he said, they can offer rates that are 0.125 to 0.375 percentage points below those offered by major banks. It is the second category that borrowers need to be wary of, said Diane Thompson, a lawyer at the National Consumer Law Center, because the interest rates may be significantly higher. Nonbank lenders with lines of credit from big banks often find themselves with the same tough underwriting standards as the banks, said Stephen Adamo, the president of Weichert Financial Services, a nonbank lender in Morris Plains, N.J. Still, Mr. Wind admits that nonbank lenders still have a battered reputation among consumers to overcome. “There’s a tremendous image problem,” he said. And the new Consumer Financial Protection Bureau has made regulation and oversight of nonbank lenders a priority. Enter the Community Mortgage Banking Project and Community Mortgage Lenders of America, both created in 2009 to promote the interest of nonbank lenders. “Nonbank lenders don’t have the name recognition of a Wells Fargo or a Bank of America, so they have to compete on price,” Mr. Corso said. He said that contrary to popular belief many nonbank lenders these days do not offer subprime or other risky loans, and instead were offering conventional mortgages or loans backed by insurance from the Federal Housing Administration. But Ms. Thompson advised home buyers, especially those who aren’t inclined to comparison shop or read the fine print in lending disclosures, to stick with a bricks-and-mortar bank. “There’s a long track record which indicates that this is where consumers will get the best deal,” she said.